Launched in 2018 Active Tollerton is an innovative community led project to stimulate participation in sport and activity. Led by Tollerton Parish Council and the Tollerton Community Trust, Active Tollerton seeks to improve opportunity and access to quality facilities and organised coaching for all. The project also has a strong focus on young people, seeking to provide opportunities for play, sport, leaning and embedding positive lifestyle choices for the future. 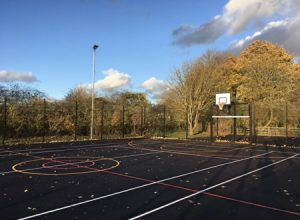 Community led facilities – To work with coaches and the community trust to design sport and play facilities that can be used for both organised and casual drop in use and to encourage use through coached or club sessions. Sustained use and team sport – To work with clubs, the school and the community trust to design facilities such as toilets and changing facilities that enable longer sustained use of facilities and organised team or group activities. Active environment – To provide an attractive and accessible facilities to support ongoing participation, encourage active travel and edible community planting that encourages a healthy diet. Tollerton residents identified the value of community activity and the need to enhance facilities in the village through the 2016 Parish Plan consultation. Improved facilities on the Open Space was in the top five requested initiatives. Increasing and improving public open, recreational and green space within the village was important to most respondents in further detailed parish wide consultation in 2017. 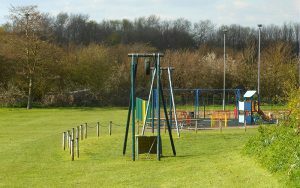 Residents identified the need for more playground and sports facilities and purpose-built meeting spaces to support the growth of the village and changes in the population. The Active Tollerton project supports two of the three priorities in the village’s community led plan set by residents to maintain and enhance facilities & village life. Community led facilities – Physical activity, including sport, is linked to reduced risk of over 20 illnesses, including cardiovascular disease and some cancers. Taking part in regular sport can save between £1,750 and £6,900 in healthcare costs per person. Sustained use and team sport – The positive effects of sport on education include improved attainment, lower absenteeism and drop-out, and increased progression to higher education. For instance, young people’s participation in sport improves their numeracy scores by 8 per cent on average above non-participants. Active environment – A healthy diet rich in fruits, vegetables, whole grains and low-fat dairy can help to reduce your risk of heart disease by maintaining blood pressure and cholesterol levels. Use the Contact Us form to let us know any ideas to help everyone get active in Tollerton.